Check out the olives and cheeses. Fruits and fresh seafood. Mousakka. 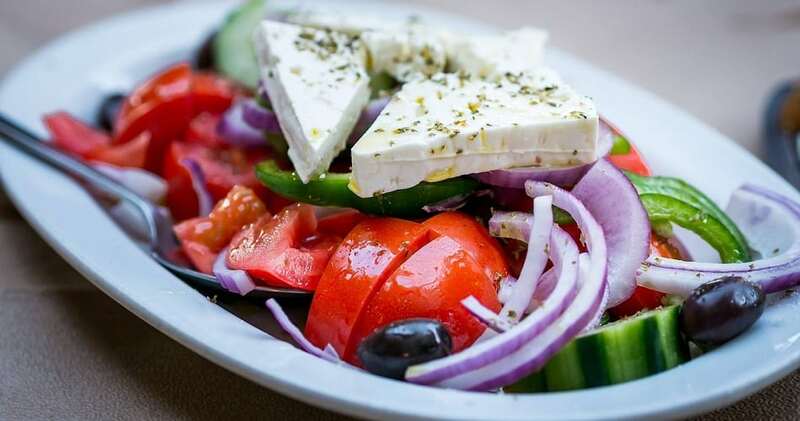 Greek salad. Dips in every flavor. Sweets and cakes worth the calories.